This is a beautiful Jello recipe. It looks great but tastes so much better. 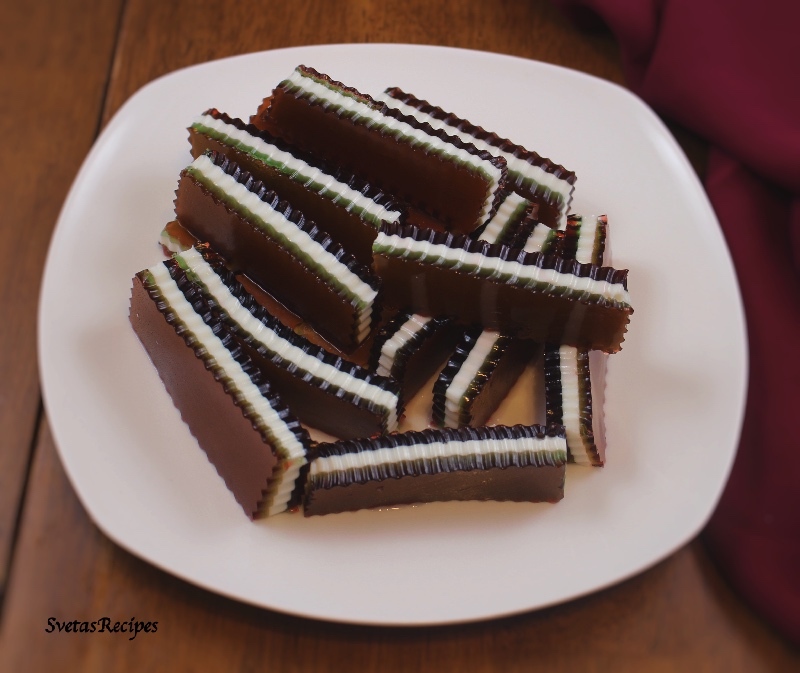 The white and green stripes gives the jello an exceptionally beautiful touch. 1.) 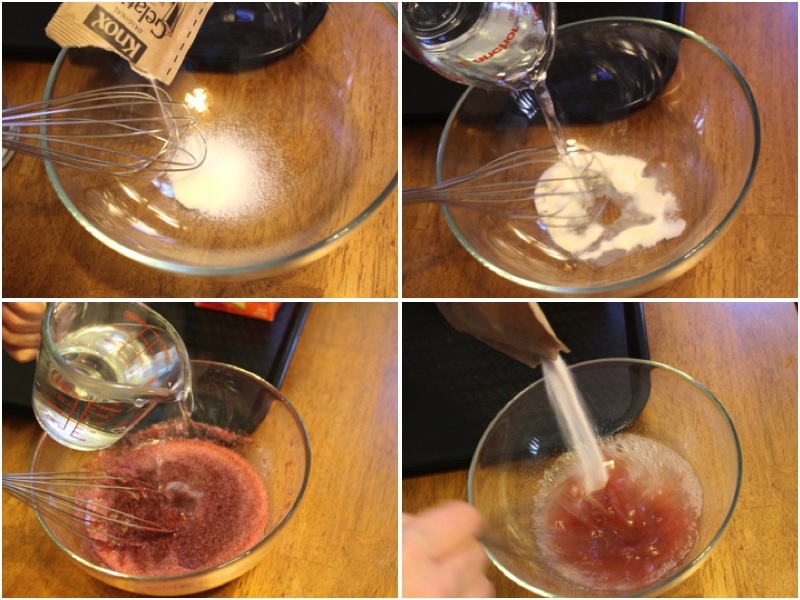 In a small bowl mix together your regular gelatin, 1/2 cup boiled (now cold) water, red flavored gelatin and mix together until it is dissolved. Next add your 1 cup of boiling hot water and mix again. 2.) Pour it out on a greased baking sheet, repeat theses steps with your cherry and lime gelatin. 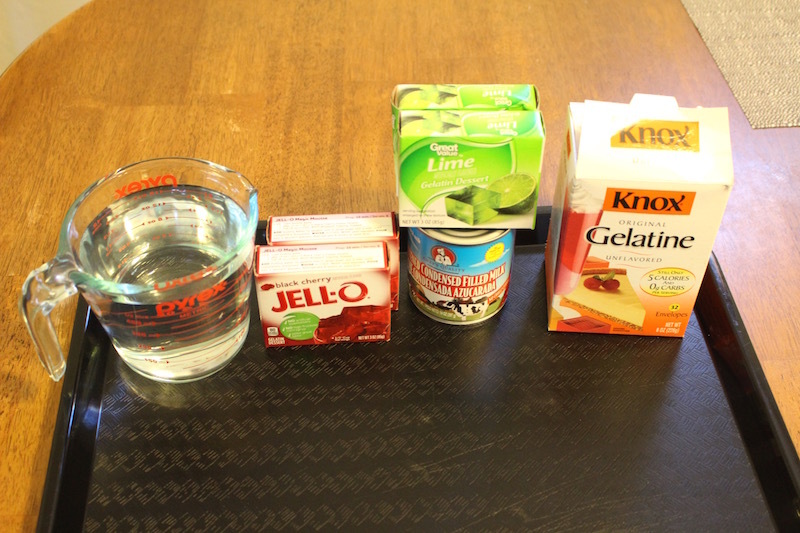 For your condensed milk layer mix together 2 packets of gelatin, 1/2 cup of cold water and condensed milk. Mix together well and add your 1 cup of hot boiling water. 3.) Pour your layers in the following order: first cherry, then lime,third is condensed milk then lime then cherry. Wait for each layer to be done before you put the next layers on top of each other. 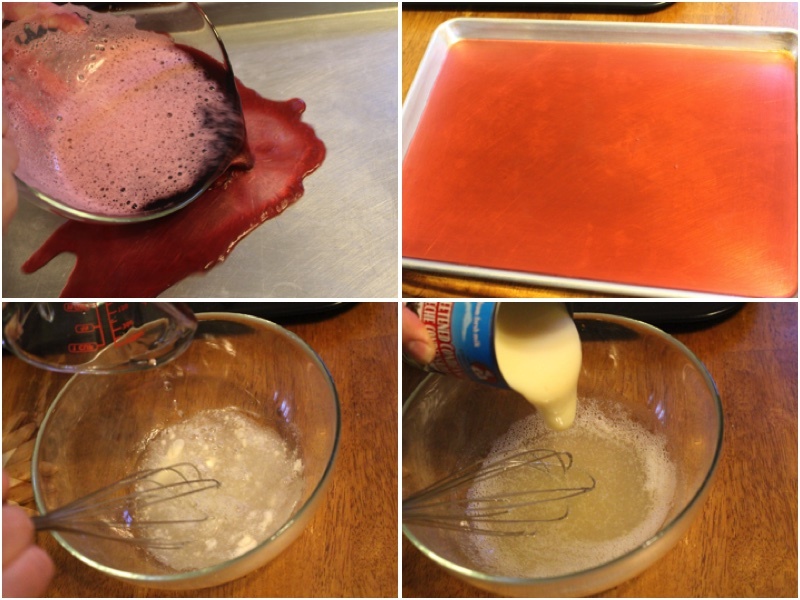 In a small bowl mix together your regular gelatin, ½ cup boiled (now cold) water, red flavored gelatin and mix together until it is dissolved. Next add your 1 cup of boiling hot water and mix again. Pour it out on a greased baking sheet, repeat theses steps with your cherry and lime gelatin. 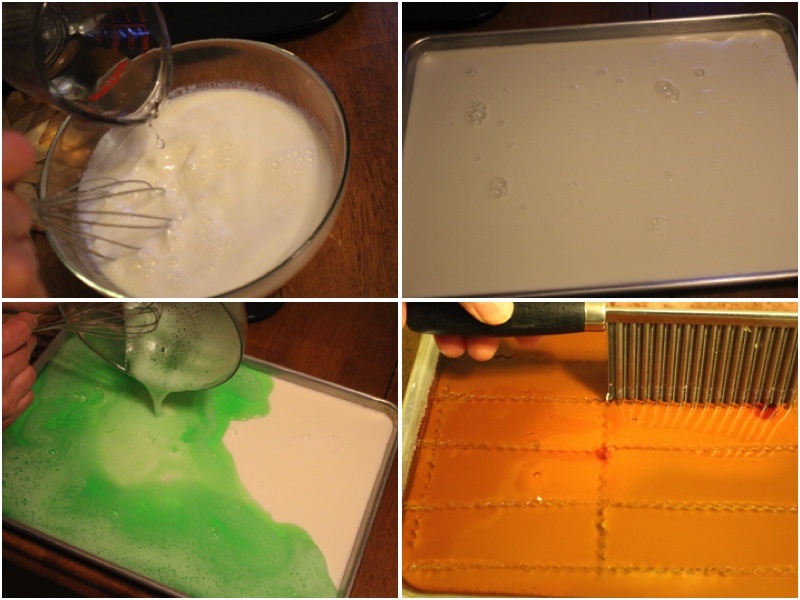 For your condensed milk layer mix together 2 packets of gelatin, ½ cup of cold water and condensed milk. Mix together well and add your 1 cup of hot boiling water. Pour your layers in the following order: first cherry, then lime,third is condensed milk then lime then cherry. Wait for each layer to be done before you put the next layers on top of each other.